When visiting the North Fork Valley, on Colorado’s Western Slope, you may find yourself without access to the outside world. Believe it or not, despite the sketchy cellular service in the area it is one of my favorites spots in Colorado. Maybe I love it so much because it forces me to disconnect and enjoy everything to the fullest. There so much to do here that being online should be the last activity on your mind. I’ve dubbed it the Land of Milk & Honey and that’s because it truly is the land of small farms, vineyards, cideries, breweries, farm-to-table bistros and more. I recommend renting a bike at Cirque Cyclery and taking a tour of the local farms. It’s truly the most fantastic way to spend a summer day. This area isn’t totally off the grid. I have Verizon, and if I stand on the corner of Grand Avenue and 1st Street in Paonia, I can get a little signal, and many places around town have wifi such as The Living Farm Cafe & Inn, and the Bross Hotel. 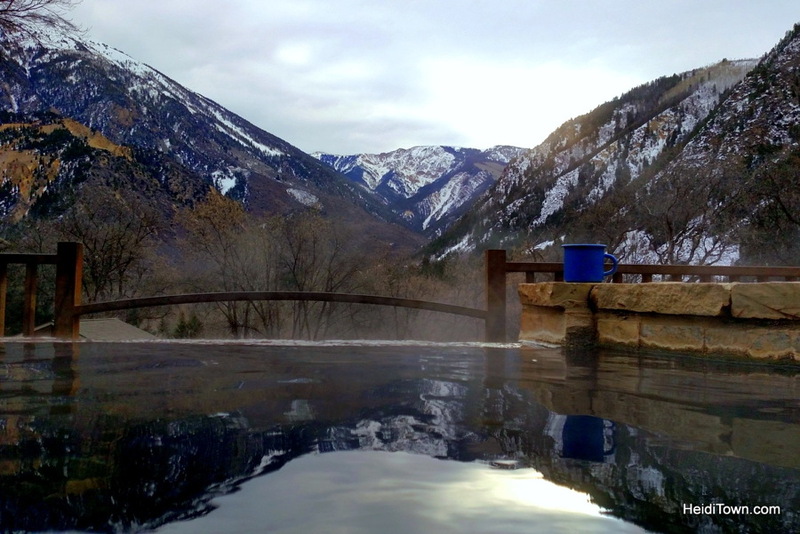 I don’t use the word magical very often, but I frequently use it when describing Avalanche Ranch Cabins & Hot Springs in Redstone, Colorado. As you drive up County Road 133 out of Carbondale towards the ranch, you’ll leave all cares, and your cell signal, behind. The canyon through which the Crystal River flows is a beautiful drive at any time of year, but you won’t be able to live tweet about it. Avalanche Ranch is a unique property featuring hot springs and lodging in the form of charming cabins and sheepherder wagons. There is wifi here but only at the main lodge which is open 24-hours to guests. There are also only two phones on the property. The secret is out about this place and in high season you’ll need to book ahead, but during shoulder seasons (spring and fall), it’s a true escape from people and technology. Here’s a place where you can go entirely off-grid for days at a time. Dinosaur National Monument is located in northwest Colorado and northeast Utah. The park is best known for its dinosaur bones and petroglyphs and for being the site of the confluence of the Green and Yampa rivers. 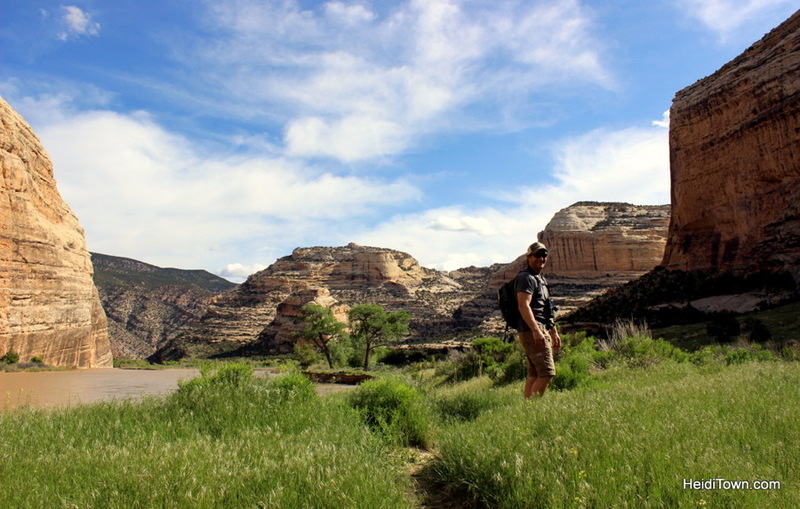 In the Spring of 2016, myself, husband and old dog camped for several nights at Echo Park inside Dinosaur National Monument. There are 17 campsites here and sites are $10 per night. All but four walk-in sites have fire pits. There are vaulted toilet facilities and water, although I’d still advise packing your own water. The three of us spent two quiet, albeit windy nights camping here. We hiked, read books, made fantastic food in a cast iron skillet and sat around the fire just like our ancestors. It was the most peaceful I had felt in years. As we drove out of the park, at some point along the road, both our phones begin beeping incessantly as two days of alerts flooded in. That’s the problem with a digital detox, one must face the music when four bars appear on the screen once again.